The Satellite PRO M300 features a 14.1” Diagonal TruBrite Widescreen Display and an Intel Core 2 Duo processor.It comes with a great webcam, facial recognition instead of using passwords, built-in FM radio that sounds great, and AWESOME Harmon/Kardon speakers. The Satellite A70 series features large 15.4″ WXGA screen and stereo speakers for playing DVD movies, Microsoft Office OneNote 2003 and Microsoft Windows XP Home Edition. The latest USB 2.0 ensures fast connectivity to peripherals. Now fully wireless equipped with 802.11g wireless technology means surfing the internet without telephone cables. 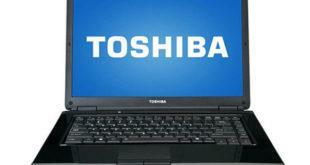 Download Toshiba Satellite A30 Notebook Windows XP Drivers. The Toshiba Satellite A30 comes equipped with an Intel Pentium 4 or Intel Cleron processor and ATI Mobility Radeon 9000 IGP graphics. The Satellite E105 laptop series come with a 400GB Toshiba USB 2.0 Portable External Hard Drive.The Satellite E105-S1402 notebook features a Intel Core 2 Duo P8400 processor with 4GB of DDR2 memory. The Qosmio X300 gaming laptop that is built around the similar Quad Core processor found on the Qosmio G50 and X50.the X300 comes packed with premium specifications, from the latest 2.53GHz Centrino 2 processor and 4GB DDR3 RAM to dual 250GB hard drives and a 17-inch WXGA TFT display. The Toshiba Satellite L310 is a 14.1 screen multimedia laptop integrated with the technology crystal brite. this notebook has been integrated with 1.3MB webcam and optical drives that have the DVD format. The following drivers and software are compatible with your Toshiba Satellite L310 that will work with Win XP.